Since I am currently visiting family in Portland, Oregon, I am not going to do my usual blog about a simple and healthy recipe. Today’s blog for Fiesta Friday, (which is a day late), is about something delicious and not very healthy! 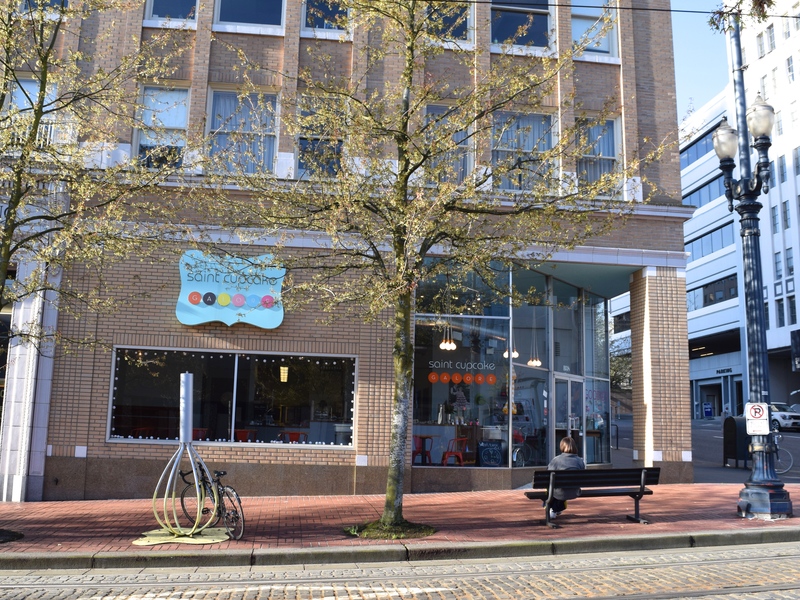 It is about a wonderful bakery in Portland called Saint Cupcake. It was coincidently featured on the Cooking Channel this past Thursday. When I arrived at the Morrison store, I was disappointed to learn that they had discontinued two of the three items mentioned on the show. To make matters worse the third item, the BonBonBunBuns, were not ready, because I had arrived at the shop too early and the dough was still rising! My disappointment was short-lived, however, after I took a really good look at what was behind the glass displays! 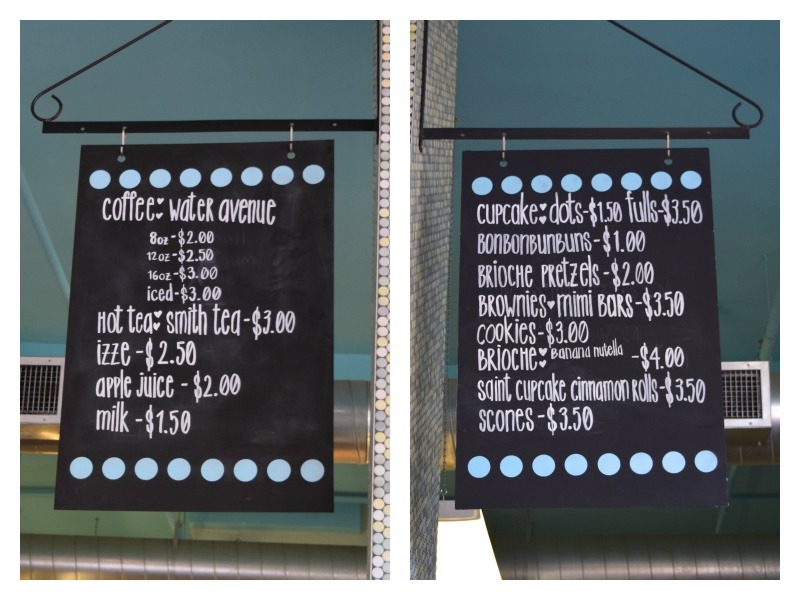 In addition to making mouth-watering cupcakes, they also bake brioche, brioche pretzels, brownies, cookies, cinnamon rolls and scones. The cupcake that intrigued me the most was the Toasted Coconut Cream. 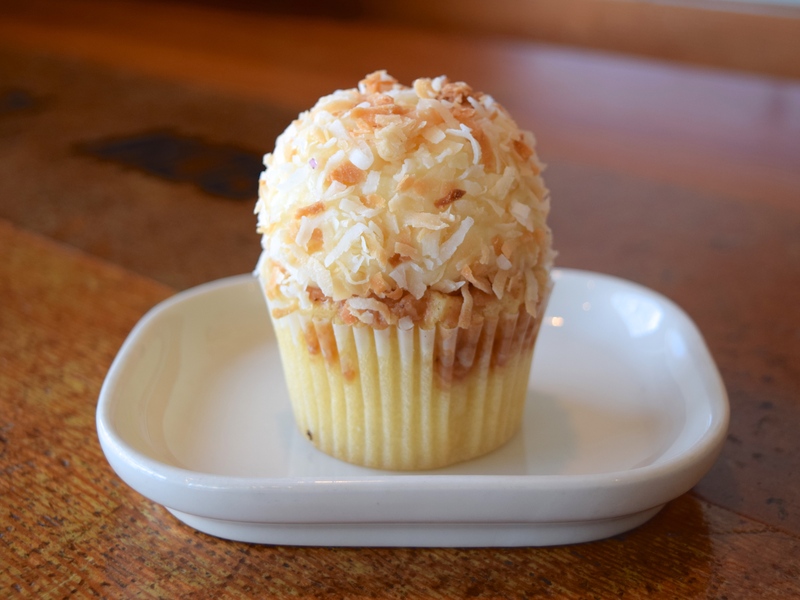 It is made with a buttery vanilla cake, toffee chips and classic vanilla cream cheese frosting and topped off with toasted coconut flakes! It was sweet and so delicious! The calories were well worth it! 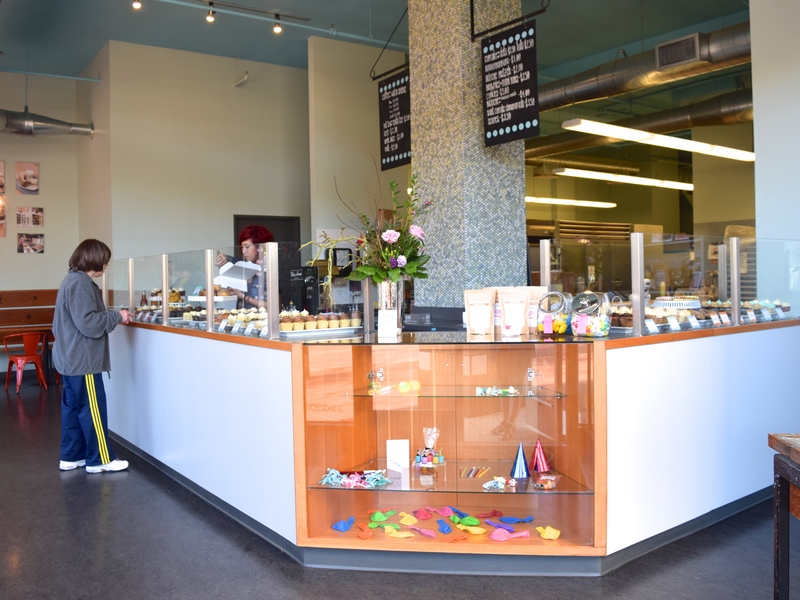 So if you are ever in Portland, Oregon, please visit Saint Cupcake. You will be glad you did! 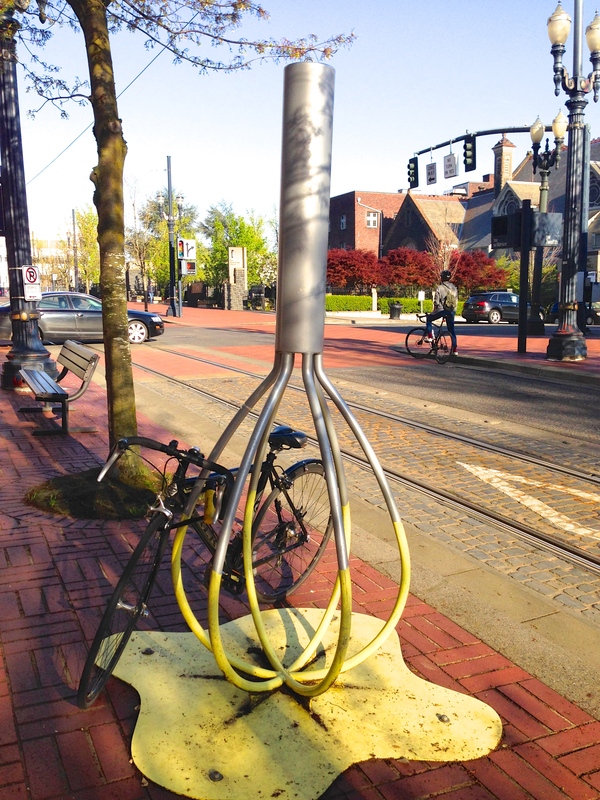 Love that whisk bicycle rack – how appropriate! 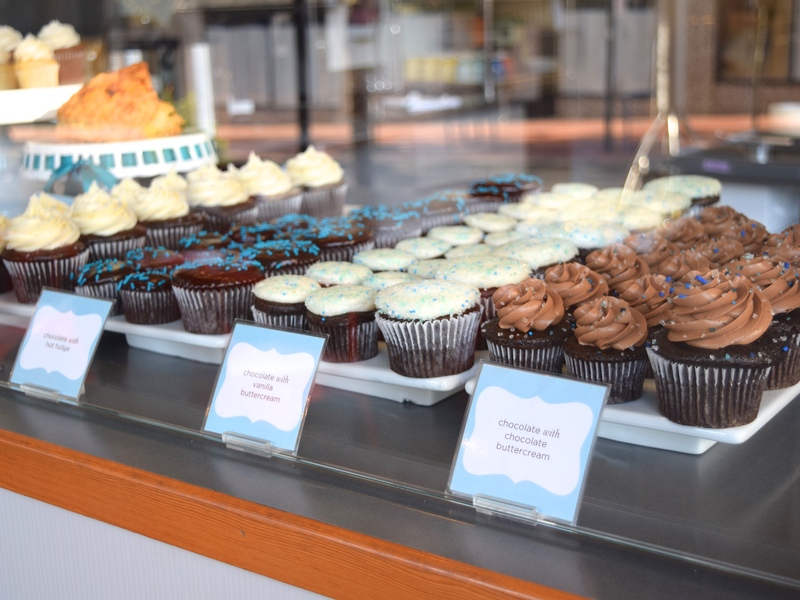 Looks like it is quite the bakery – your cupcake looks quite delicious! Thanks for sharing this with us at Fiesta Friday! 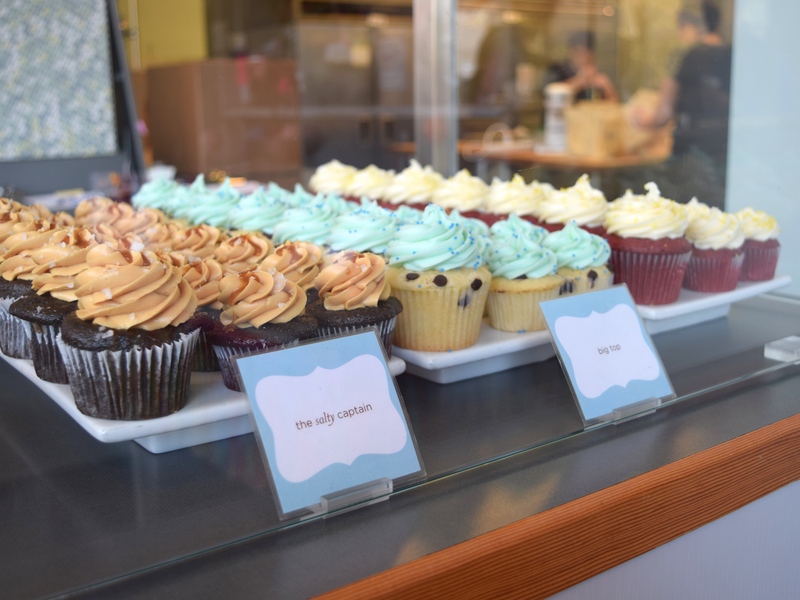 I walked to Saint Cupcake from my relatives’apartment, so I did’t feel too guilty about eating it!